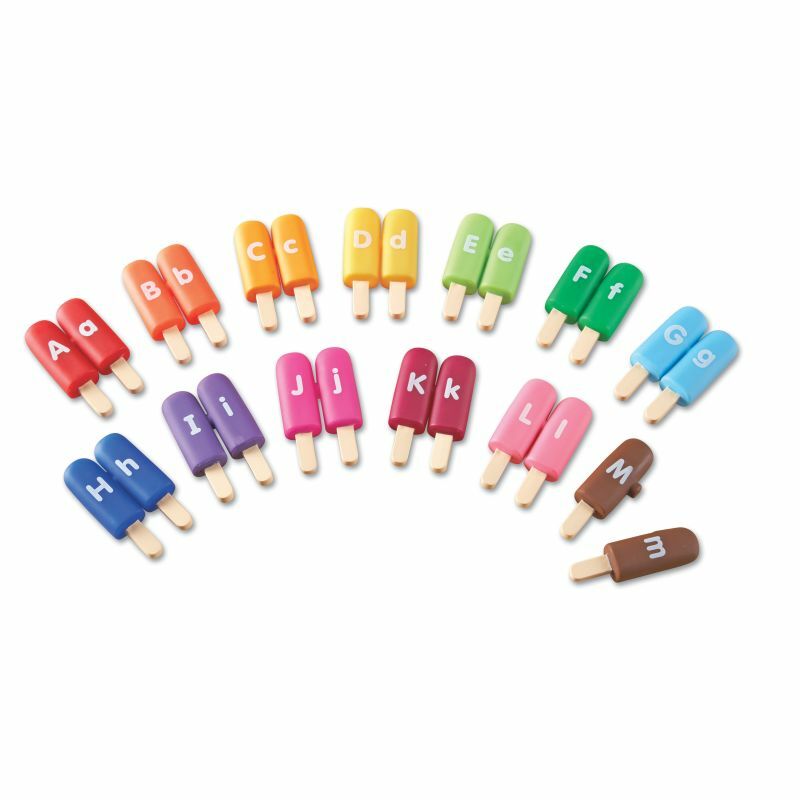 Pop together these frozen treats to match uppercase and lowercase letters. Double-sided to include all 26 letters. Self-checking by color. Also great for fine motor skills and imaginative play! Each Alpha Pop measures 4″L x 1¼”W.